Firstly,the 3D finite element model of a large-span transmission tower lines system with main tower height of 375m and main span of 2 756m is established using software SAP2000,and is transformed to ABAQUS finite element model by the developed interface program SAP2ABAQUS. Then,the approach for achieving the loading process of static effect under the gravity action is given explicitly by using long-period explicit dynamic loading method. 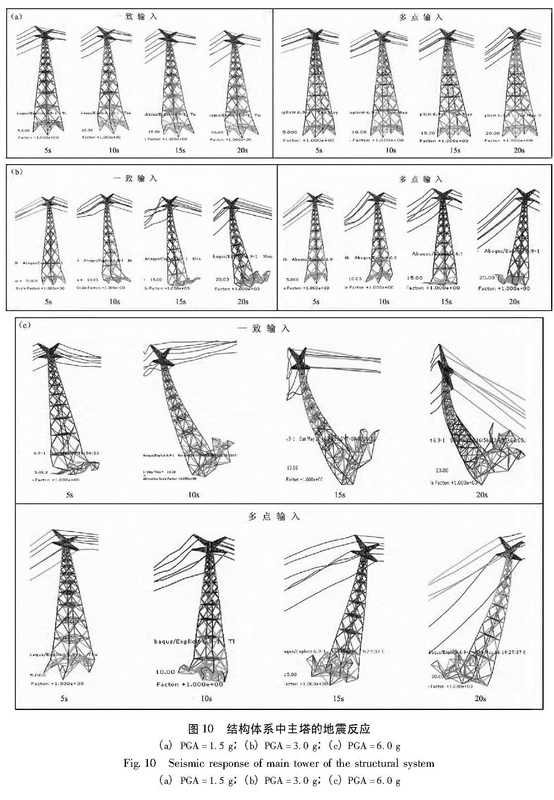 By the approach,the shape finding of cable and its initial stiffness are finished under the gravity action,which further realized that gravity analysis could be performed subsequently with dynamic loading excited by the subsequent earthquake. Besides,the dynamic characters of four types of model with different boundary conditions are analyzed and compared,and from the comparison of model component before and after the transformation and their corresponding modal analysis results,the transformation accuracy through program SAP2ABAQUS is verified. 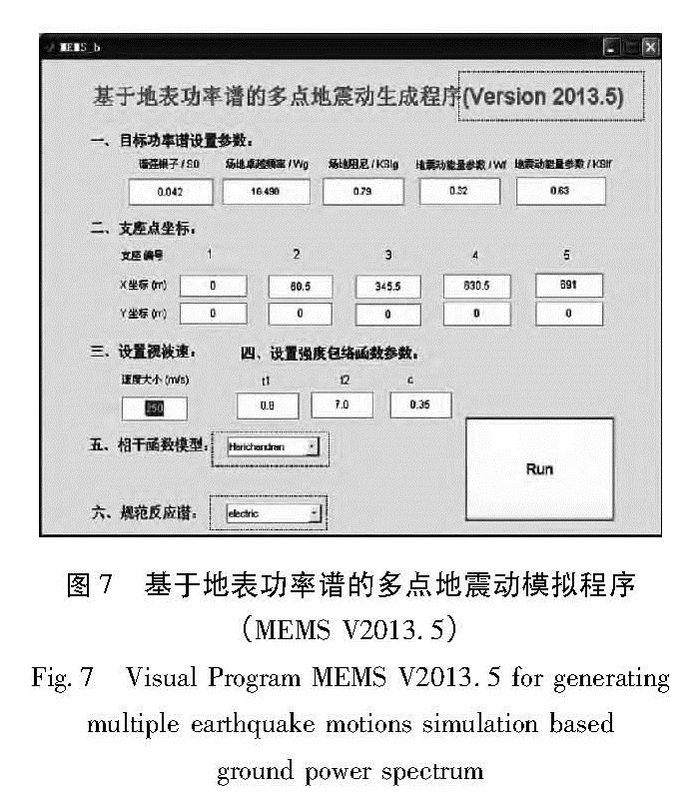 Further,the program MEMS_b V2012.5 is updated to MEMS_b V2013.5 and the multi-point earthquake motions of target field are simulated. At last,considering geometric large deformation and differential input,the developed subroutine given by ABAQUS main program is used to analyze the elasto-plastic and collapse of tower-lines system. The actual engineering analysis results show that:(1)The developed interface program SAP2ABAQUS is further verified to have reliable accuracy and high efficiency transformation from the aspect of actual engineering. (2)The developed subroutine is feasible and reliable for analyzing actual engineering. (3)The static gravity loading process realized by the long-period dynamic loading method which is reasonable in theory and feasible in real,and overcome the difficulty that implicit static gravity mode loading cannot be performed subsequently with explicit dynamic analysis. 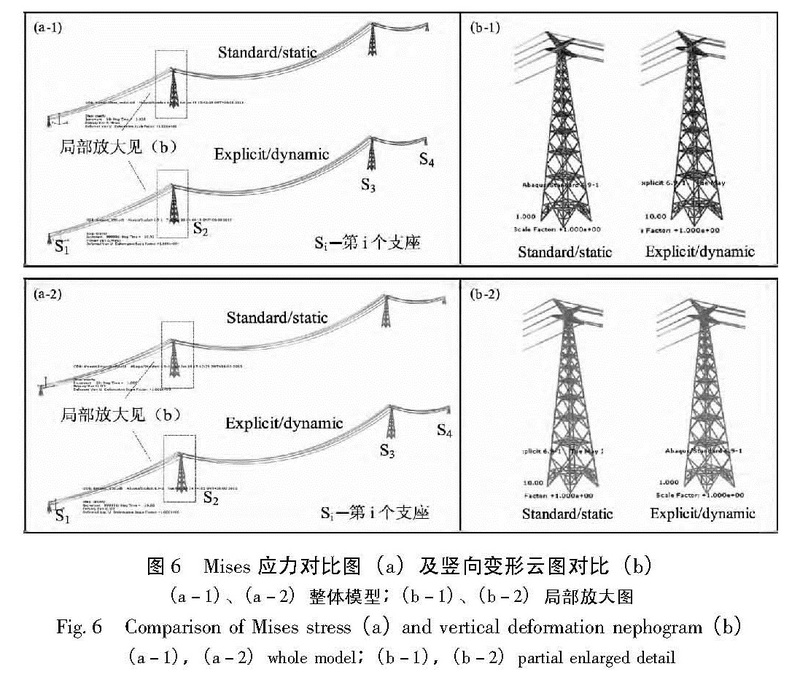 (4)From modal and theory analysis,it shows that the necessity and reliability of selecting the system of four towers with three lines as analysis object. 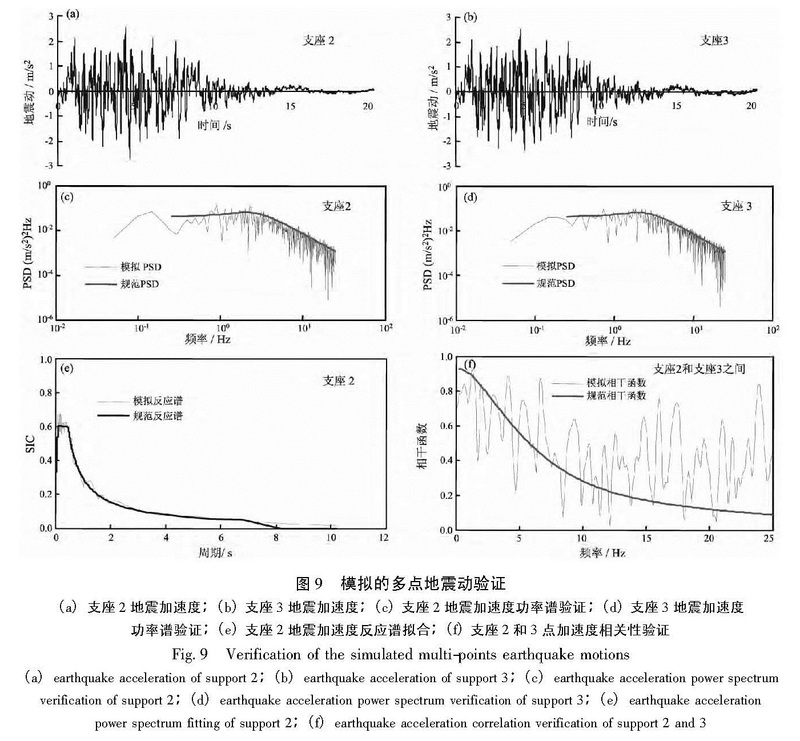 (5)The consistency of multi-point earthquake motion and differential input have the significant influence on occurrence and developing distribution of plastic hinges. So,it is very necessary to consider the multi-point earthquake motions as input while analyzing the elasto-plastic responses of the similar structural system. Hao H,Oliveria,C S,Penzien..1989.Multiple-station ground motion processing and simulation based on SMART-1 array data[J]. 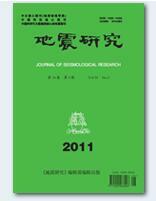 'Nuclear Enginering and Design.,111(3),293-310. Harichandran R S,Vanmarcke EH.1986.Stochastic Variation of Earthquake Ground Motion in Space and Time[J].Journal of Engineering Mechanics,112:154-174.